22 Michaels: Welcome to the Shoes of Prey team Penny! Today we welcome our 9th member to the Shoes of Prey team, Penny. Penny comes from Yueyang in Hunan province. Penny is in her third year studying Information Systems and Information Management at Hunan Business University, however she's focused her time learning English and speaks it very well. 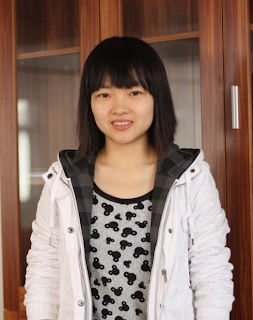 She's joining us full time and will be working with Vanessa and Qun in our China office. Penny will take 1 month off in June to prepare and complete her University exams. While at University she's worked many different part time jobs including promotional roles and at restaurants. One of her favourite jobs was dressing up as a robot cat to entertain children at a kindergarten! Penny will report to Vanessa and she'll be working with Vanessa and Qun to ensure all our shoes are photographed, packed and delivered to our customers on time. Welcome to the team Penny!